Ned Lamont at his press conference Thursday. 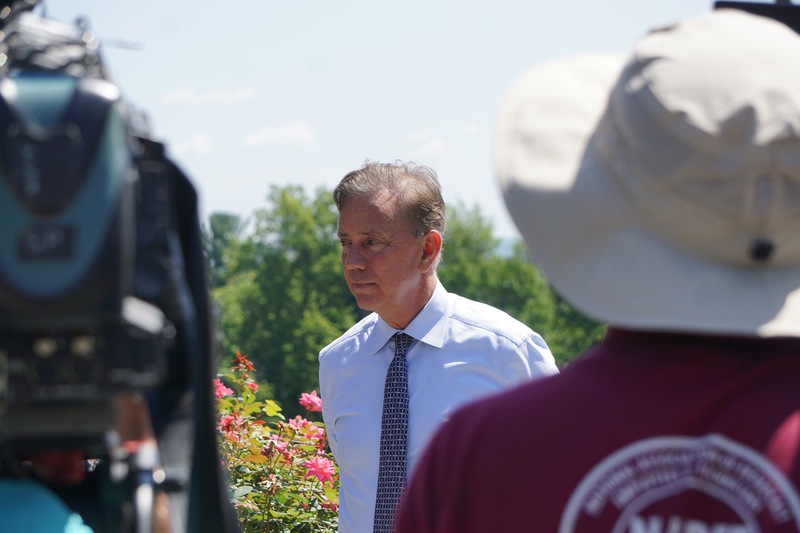 Democratic gubernatorial candidate Ned Lamont said Thursday he wants to restore Connecticut’s incredibly shrinking property-tax credit: Worth about $385 million in middle-class relief nearly 20 years ago, it now provides just $50 million annually and is limited to lower income property owners. The proposal is designed as a political twofer: It distances Lamont from Gov. Dannel P. Malloy, a Democrat whose administration steadily eroded the credit as it struggled for revenues, and it provides another opportunity to argue that Republican Bob Stefanowski’s promise to eliminate the income tax would require slashing aid to cities and towns. “If we eliminate this tax, the money will have to come from somewhere,” said Bloomfield Mayor Suzette DeBeatham-Brown, who joined Lamont at a roll out of his proposal on an Elizabeth Park hilltop overlooking the Hartford skyline. About 10 percent of the state budget goes to municipalities as education cost sharing grants. “I hear that from mayors, big cities and small towns, across the state,” Lamont said. 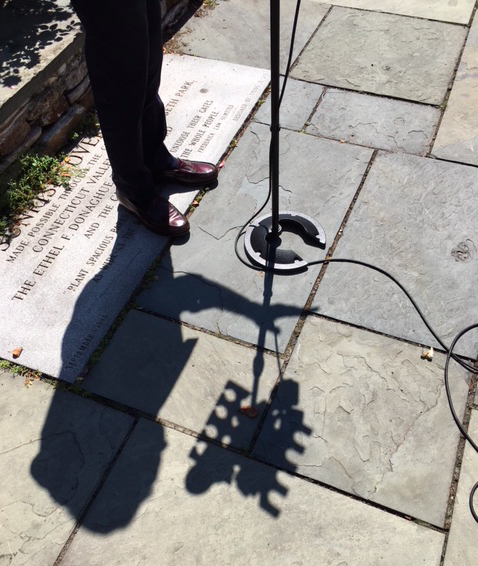 Ned Lamont’s midday news conference. Lamont and Stefanowski each are trying to convince voters they can cut taxes despite projections that the next governor will take office in January and face a $2 billion shortfall, a little more than 10 percent of the $20.8 billion annual budget. With a more modest cut, Lamont is offering himself as a realist. A Quinnipiac University poll released earlier Thursday found widespread skepticism about Stefanowski’s promise to eliminate the income tax, the single largest source of state revenue, over eight years. Only 35 percent of voters called it realistic; even among Republicans, only 50 percent thought it credible. Lamont is proposing to increase the property-tax credit by 50 percent and, more expensively, expand the eligibility to more middle-class taxpayers — singles earning up to $116,500, heads of households up to $138,500 and joint filers up to $160,500. The credit, he said, would be worth up to $300 off taxes paid on a home or a car. The estimated cost is $165 million the first year, which he proposes to offset with up to $50 million from legalizing sports betting, $125 million in savings as the prison population continues to shrink, and at least $150 million from improving tax collections. His view of how quickly the state could implement sports betting may be optimistic. The legislature has declined to return in special session this year to consider legalizing sports betting in the wake of a Supreme Court decision overturning a federal prohibition. “We’re going to implement sports betting as quickly as we can,” Lamont said. The Stefanowski campaign had no comment Thursday. Stefanowski, whose campaign is staffing up after winning a five-way primary on Aug. 14, has not had a press conference or published a campaign schedule since then. His campaign says the promise to eliminate the income tax will remain the central focus of the general-election campaign. Neither Lamont nor Stefanowski have come close to addressing the larger challenge: With either cuts or new revenue, how would they close the $2 billion gap next year and a larger one the next? 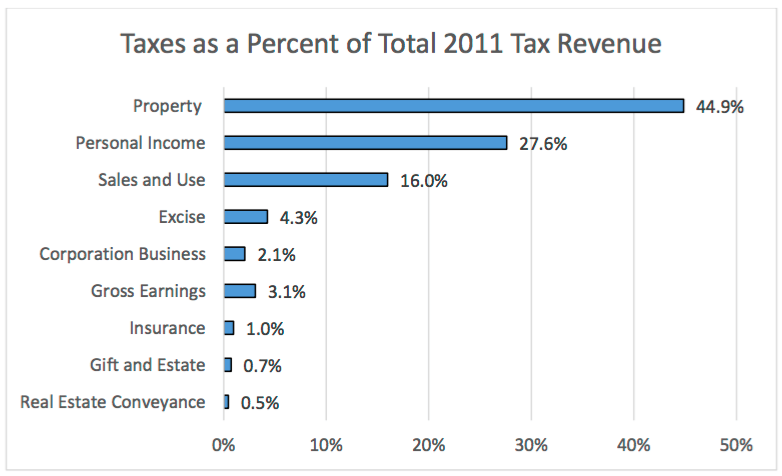 From a study of 2011 tax data produced in 2014. A 2014 study by the state Department of Revenue Services found that the state’s poorest residents paid the highest effective tax rate and its richest the lowest. Using 2011 data, the study found that about 725,000 households with adjusted gross incomes of less than $48,000 had an overall effective tax rate of 23.62 percent and paid one fifth of the state’s total tax burden. The effective rate was 11.93 percent for middle earners and 6.28 percent for the wealthiest 357 households, each with adjusted gross incomes of at least $13.2 million. The property tax credit was a compromise reached in 1995 by the newly elected Republican governor, John G. Rowland, who campaigned on a promise of phasing out the income tax, and majority Democrats in the House of Representatives, who wanted more progressive income tax rates. Rowland never took a step towards repealing the income tax. But with the 1991-1992 recession ending and the economy improving, the property-tax credit was offered, beginning in the 1996 tax year. Households could reduce their income tax liability by up to $100, provided they had paid that or more in property taxes on their personal, real or motor vehicle property. The initial credit was worth $100 million. Ever since, it has waxed and waned, depending on the economy. From 1997 through 2006, Republican governors and Democrat-controlled legislatures would continue to compromise by increasing the credit and aiming it largely at middle-income households. In 1997, the maximum credit grew to $215, but the portion above $100 phased out for individual filers earning between $55,500 and $145,500 per year, and for joint filers earning between $100,500 and $190,500. It kept rising, hitting $500 in 2000, providing $385 million in total tax relief. The credit temporarily was reduced to $350 in 2003, 2004 and 2005 as Connecticut climbed out of another recession, but was restored to $500 in 2006. Malloy and the legislature frequently reduced the credit over the past eight years as the state wrestled with chronic budget challenges.